Aloha and a warm welcome. 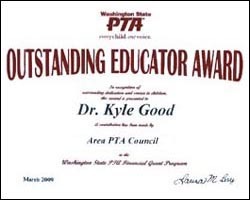 For over 30 years I have been successfully helping children, adolescents, and parents work through difficulties by combining my expertise as a Ph.D. level psychotherapist with my experience of having been an awarding winning school principal and a nationally recognized teacher. I earned my degree in psychology from Seattle Pacific University in 1984, and my practice has evolved over the years through ongoing, in-depth education and invaluable experiences. My parents divorced when I was in first grade, and I grew up in poverty from elementary through high school. After high school, I was the first member of my family to graduate from college. I broke the cycle of poverty by studying and working hard with the support of wonderful people who have helped me along this journey called life. I, too, worked with a counselor in order to address my own issues of being a child of divorce, feeling shame, and ultimately gaining much needed self-confidence. Working through these challenges with a professional combined with the support of great friends and family, as well as being a grateful member of Al-Anon for over 25 years, I am living the life I had only imagined as a child. Knowing what it means to work through difficult situations and coming out on the other end having found real solutions, it is fulfilling to be able to help children and adolescents work through their own difficult challenges. 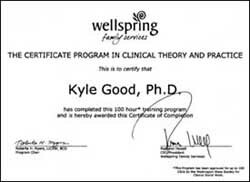 I utilize up-to-date, research-proven-effective, dynamic child and adolescent psychotherapy methods. I listen deeply in order to really understand and help solve the issues that are getting in the way. I am inspired to stay current and learn about the latest, most effective approaches to help children, families, and even educators. In fact, I contributed a chapter in the book, Igniting Brilliance (2011 - Kindle and paperback) titled "Integral Education: Community Building" in which I highlight the importance of "community" within the 21st century classroom. In addition to being a teacher, school principal, and psychotherapist, I have also worked for the Holland-America Cruise Line as Director of Passenger Services. It was a wonderful job that allowed me to travel around the world. Experiencing other cultures, first-hand, really opened my eyes and heart to a profound appreciation and respect for our differences and similarities as we all belong to this place called Earth. For the past 30 years, my life's work has been and continues to be to help children and adolescents understand and solve their problems and struggles in order to create healthier todays and more positive tomorrows. My Honolulu office is located in the Central Pacific Plaza. Together, we can help your child work through this difficult time. I am honored to be receiving many awards for my 30 years of successful work with families. I have a passion for helping children, adolescents, and parents find relief and solutions in order to get their lives back on track. Presenter at the National Bureau of Education & Research: "You've Assessed Your First Graders' Reading Ability--Now What?" Presenter at the National Educational Computer Conference Atlantic City, NJ: "Difficulties Bring Wisdom: How Online Learners Learn Online"